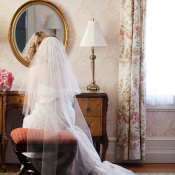 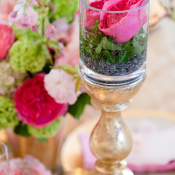 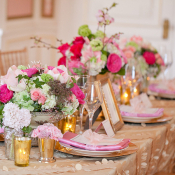 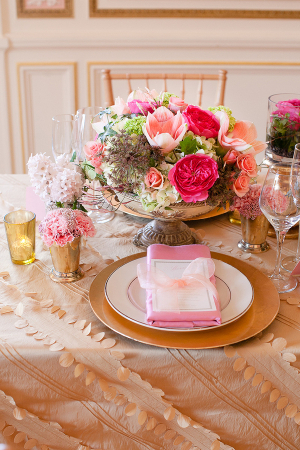 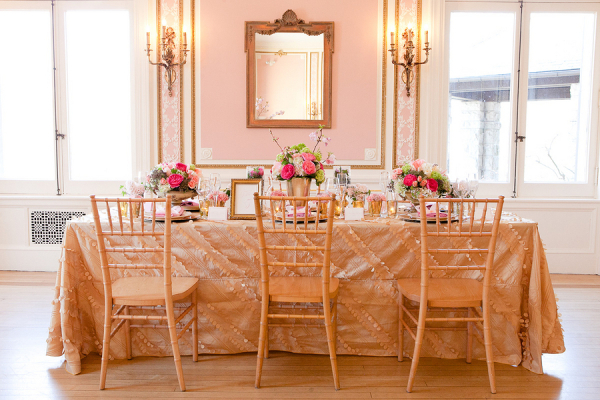 Frilly, girly, romantic… we’re head-over-heels in love with this inspiration shoot from Ashley Bartoletti Photography! 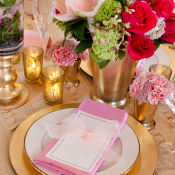 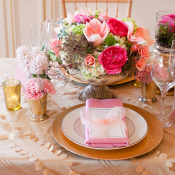 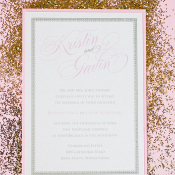 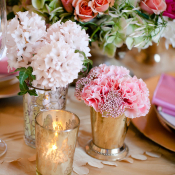 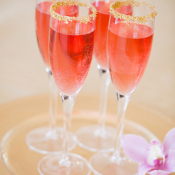 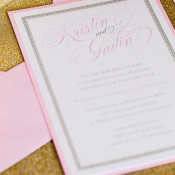 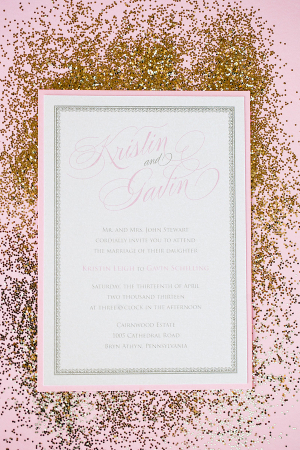 The first hint of the glamour to come is in the pretty pink stationery accented with gold glitter from ALH Designs. 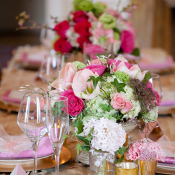 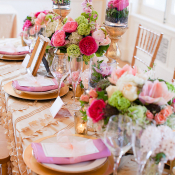 Soft and lush flowers in shades of pink, green, and lavender by Robertson’s Flowers are a perfect complement to the gorgeous Cairnwood in Bryn Athyn, Pennsylvania. 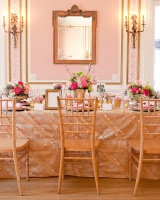 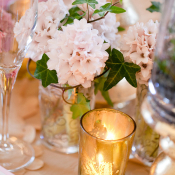 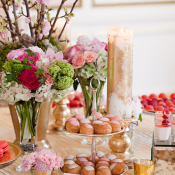 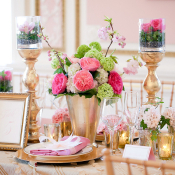 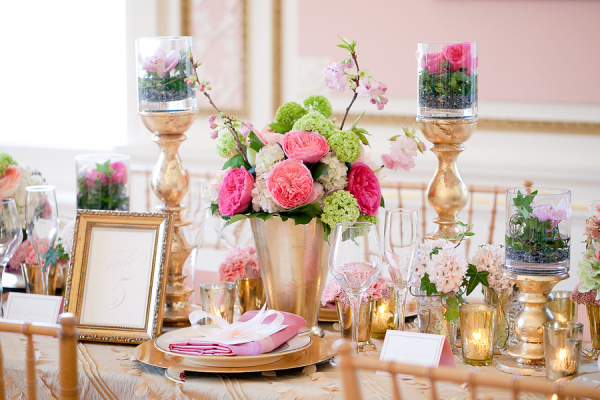 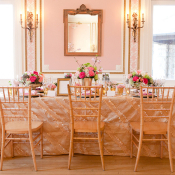 Renee Patrone of Events by Renee pulled in gleaming gold accents, mercury glass, and mint julep cups to give the tablescape and desserts by Stephen Starr Events an unmistakable sparkle. 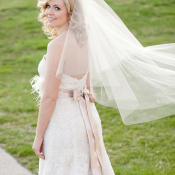 And, of course, we saved the best for last: the amazing Watters gown with an ecru sash featuring a flirty feathery embellishment from Van Cleve Wedding Pavilion. 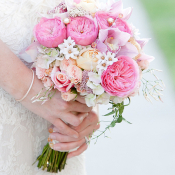 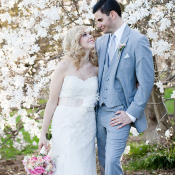 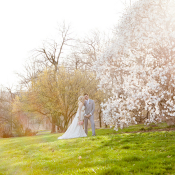 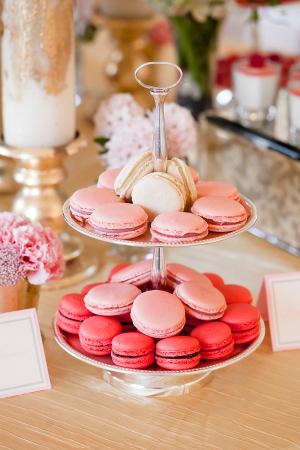 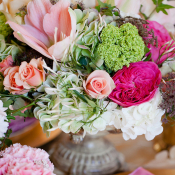 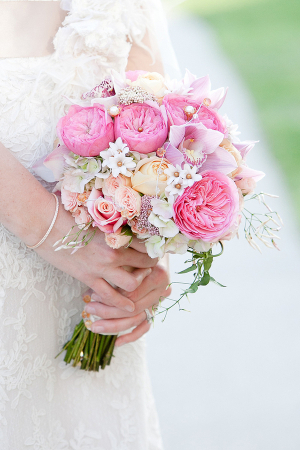 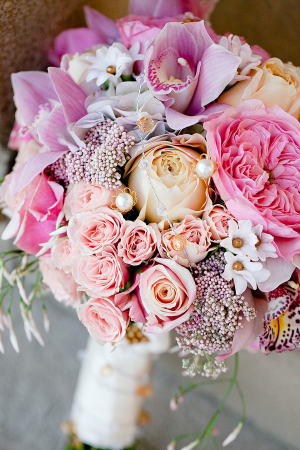 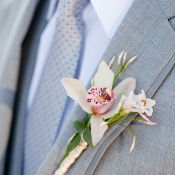 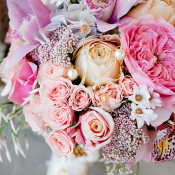 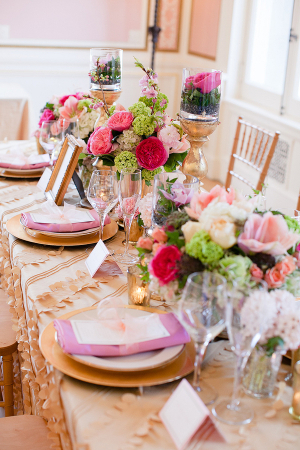 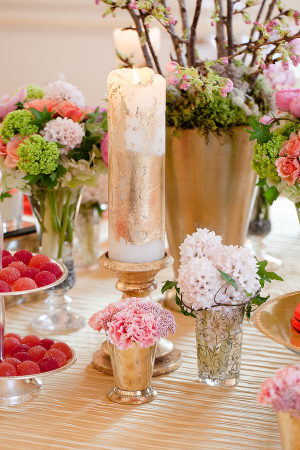 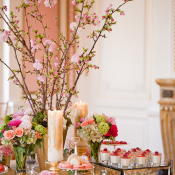 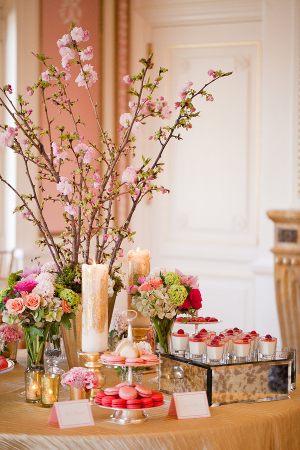 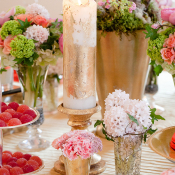 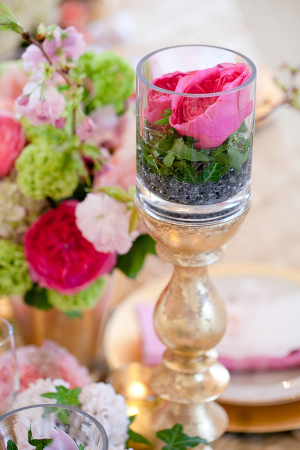 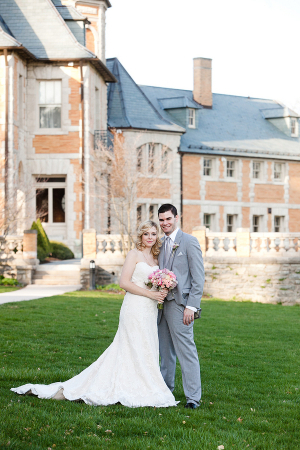 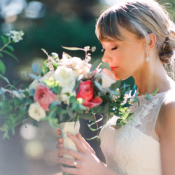 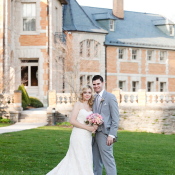 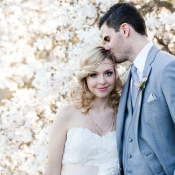 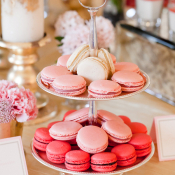 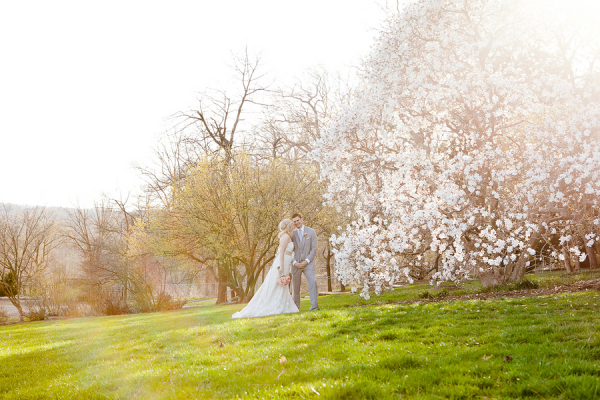 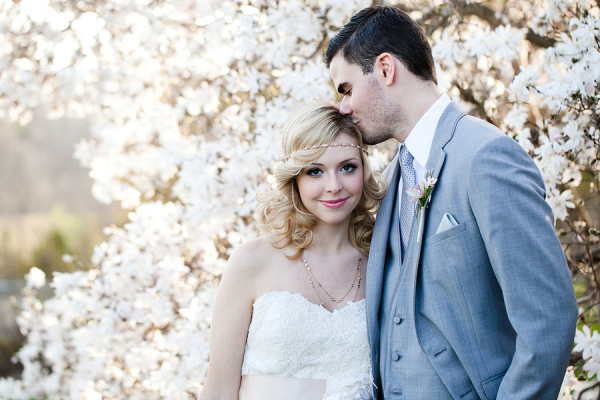 There are too many sigh-worthy details to count—see them all in the gallery!